If you only have time to read one article this month, it should be this one. To assess bone‐density testing (BDT) use amongst prostate cancer survivors receiving androgen‐deprivation therapy (ADT), and downstream implications for osteoporosis and fracture diagnoses, as well as pharmacological osteoporosis treatment in a national integrated delivery system. We identified 17 017 men with prostate cancer who received any ADT between 2005 and 2014 using the Veterans Health Administration cancer registry and administrative data. We identified claims for BDT within a 3‐year period of ADT initiation. We then used multivariable regression to examine the association between BDT use and incident osteoporosis, fracture, and use of pharmacological treatment. We found that a minority of patients received BDT (n = 2 502, 15%); however, the rate of testing increased to >20% by the end of the study period. 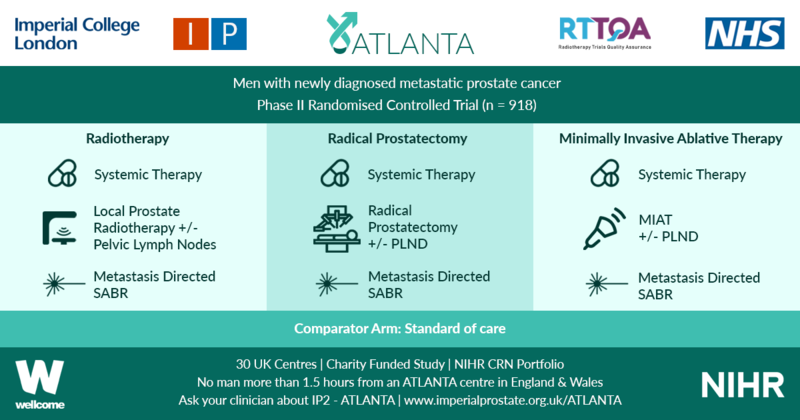 Men receiving BDT were older at diagnosis and had higher‐risk prostate cancer (both P < 0.001). Osteoporosis and fracture diagnoses, use of vitamin D ± calcium, and bisphosphonates were all more common in men who received BDT. After adjustment, BDT, and to a lesser degree ≥2 years of ADT, were both independently associated with incident osteoporosis, fracture, and osteoporosis treatment. 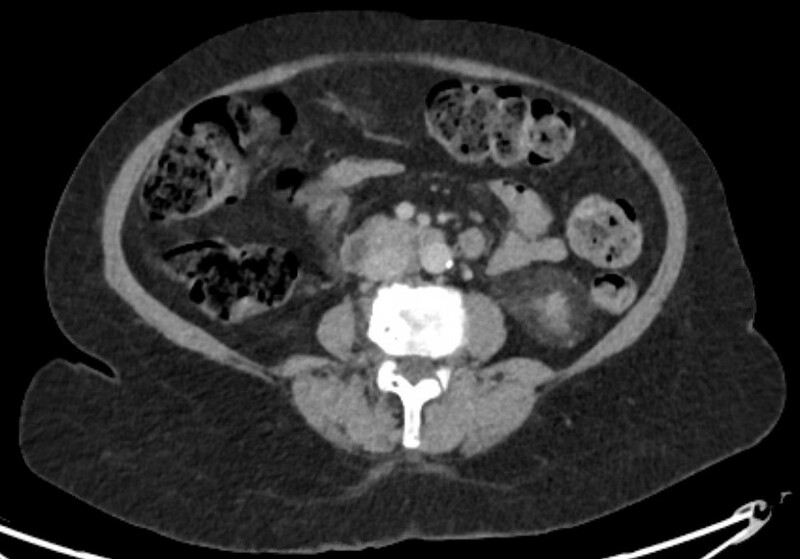 BDT is rare amongst patients with prostate cancer treated with ADT in this integrated delivery system. 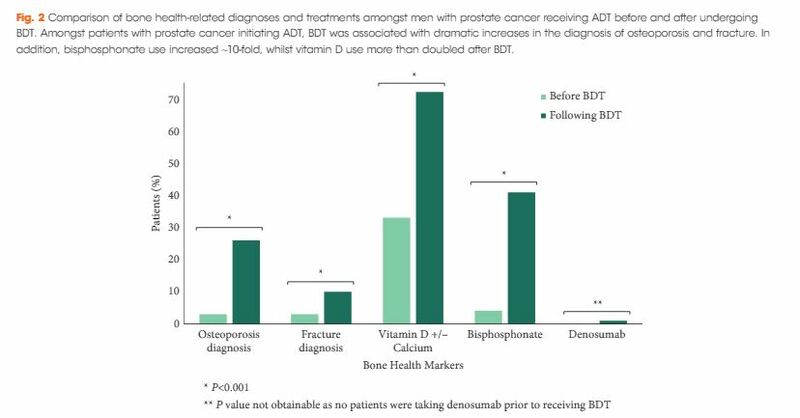 However, BDT was associated with substantially increased treatment of osteoporosis indicating an underappreciated burden of osteoporosis amongst prostate cancer survivors initiating ADT. Optimising BDT use and osteoporosis management in this at‐risk population appears warranted.